Another spring is upon us and we’re excited to make the seasonal jump here at Langtry. Walking through the vineyards is always a very peaceful feeling especially during spring when the vines show new growth. During this time of year we typically speak of “bud break” occurring in the vineyards. 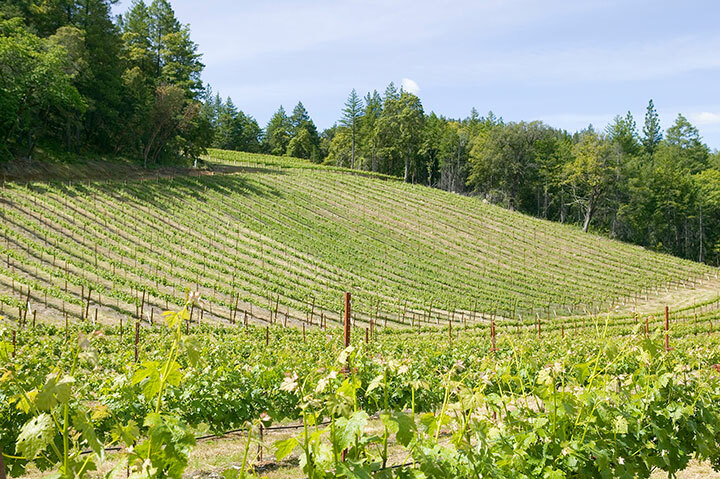 This occurs when the vines have awoken from their winter dormancy. It is the first of several growth stages along the path to harvest 2018. In the past few years, bud break has occurred earlier than normal due to warmer temperatures. In contrast, 2018 has been relatively rainy and cold so far, bringing us back to normalcy in terms of timing of bud break. All this means that we will have a longer wait for harvesting the fruit. This is great news and we’re prepping the vineyards for a fantastic harvest this year. There’s some excitement in the cellar as well during this time of year. We’re currently working on the blends to get the wines ready for bottling. This entails a lot of tasting and trial to find that perfect blend of barrels and varietal percentages. It’s a tough job, but somebody has to do it. 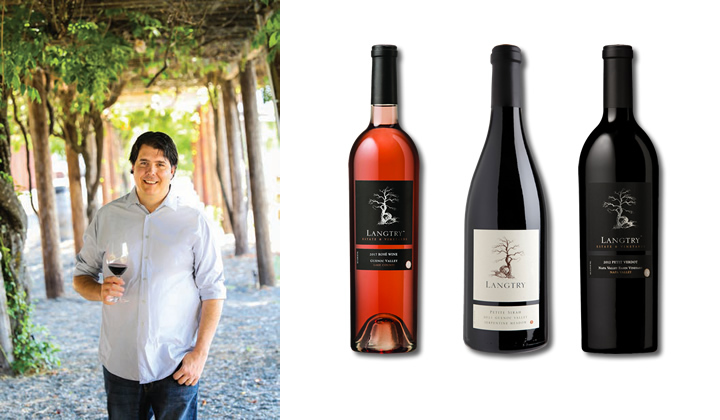 Our Langtry Estate wine club members have an exciting array of wines in their spring 2018 release. All are rich, flavorful wines that show the different characteristics and nuisances that this special region adds to the wines. To start, our 2017 Rosé Wine is perfect to enjoy this time of year. We’re all very happy to share it as it is a truly unique Rosé made with 100% Petite Sirah. The sun is shining, the days are warmer, and local gardens are abundant in fresh, new life! This time of year calls for vibrant colors and flavors so naturally my thoughts went to a pairing with our new Rosé Wine. What better pairing than fresh rosemary and lamb. I love this pairing because it really brings forth the red berry fruit of the Rose with red currants, and black pepper ending in a high note of smoked meat. Finish the dish with sides of roasted purple potatoes and brightly colored beets to really add to the colorful, springtime theme! 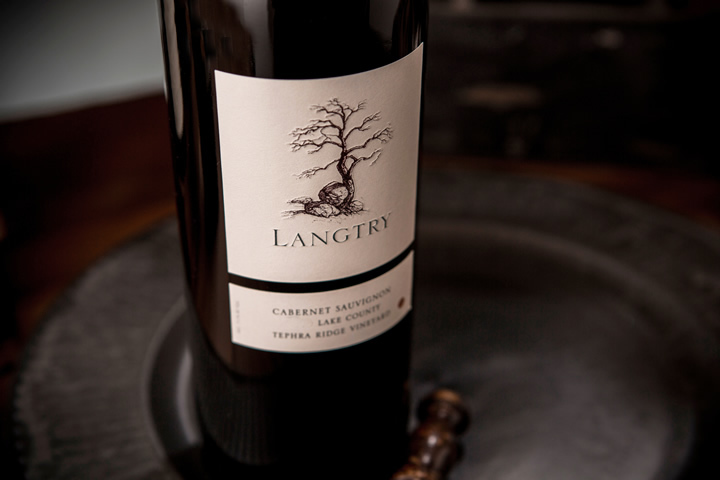 Next in our spring release is the Langtry 2014 Serpentine Meadow Petite Sirah. It comes from our Serpentine Meadow Vineyard. This five acre block takes its name from solidified magma, high in magnesium content, fractured to form the devigorating soils found here. Long a source of remarkable Petite Sirah, this moderately dense planting creates small vines, clusters and berries that are deeply hued and offer lovely blackberry flavors, unusually polished tannins and exquisite balance. Finally we have our 2012 Petit Verdot from the Napa Valley Basin Vineyard which lies in the southern end of the Guenoc Valley within the Napa Valley AVA. This wine is made to be savored with its rich aromas and flavors of dark berry fruits, spices and its succulent mouth-feel. So, sip and savor these delicious wines outside as the weather warms up this spring!